Looking for a new Volkswagen in the Kirkwood area? 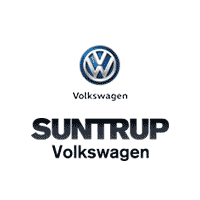 You’ll find exactly what you’re looking for in the new vehicle inventory at Suntrup Volkswagen. We have a wide variety of models in stock, from the popular Volkswagen Atlas to the fan favorite Volkswagen Jetta. If you’re ready to take your Webster Groves commute to the next level, stop by Suntrup Volkswagen to view all the Volkswagen models for sale in St. Louis, MO! $4,000 off MSRP! 2019 Volkswagen Jetta FWD 1.4T S Tornado Red 6-Speed Manual 1.4L TSI WE MAKE IT EASY! Transparency = Hassle-free buying. "Everyone's Discount" Price includes destination. Our one & only fee is our $199 Admin fee that every local dealer has. Price may be in lieu of special APR, or require financing through VW Credit. Price excludes tax, title & licensing. Don't be fouled by our competitors old car sales tactic with bogus "trade-in incentives". Conditional Incentives:College Grad, VW Business Partner & Military & First Responders. 30/40 City/Highway MPG No Charge: Lifetime Power-train loyalty program with $0 Deductible good at all ASE certified shop, 3 year Interior/Exterior warranty, Free Service loaners and shuttles for life. Call now or print this page and come in see any one of our VW Master Certified sales associates. All new vehicles come with our Lifetime Power Train Loyalty Program excluding Nissan GT-R and Nissan Leaf. Picture may not represent actual vehicle. Price varies based on in stock availability, trim levels, dealer installed options and accessories. All prices include all available Nissan incentives and rebates and may require Nissan Financing. Excludes tax, doc fees, license, title and destination charges. Occasionally pricing errors may occur and upon notification we will correct such errors. $4,000 off MSRP! 2019 Volkswagen Jetta FWD 1.4T S Pure White 6-Speed Manual 1.4L TSI WE MAKE IT EASY! Transparency = Hassle-free buying. "Everyone's Discount" Price includes destination. Our one & only fee is our $199 Admin fee that every local dealer has. Price may be in lieu of special APR, or require financing through VW Credit. Price excludes tax, title & licensing. Don't be fouled by our competitors old car sales tactic with bogus "trade-in incentives". Conditional Incentives:College Grad, VW Business Partner & Military & First Responders. 30/40 City/Highway MPG No Charge: Lifetime Power-train loyalty program with $0 Deductible good at all ASE certified shop, 3 year Interior/Exterior warranty, Free Service loaners and shuttles for life. Call now or print this page and come in see any one of our VW Master Certified sales associates. All new vehicles come with our Lifetime Power Train Loyalty Program excluding Nissan GT-R and Nissan Leaf. Picture may not represent actual vehicle. Price varies based on in stock availability, trim levels, dealer installed options and accessories. All prices include all available Nissan incentives and rebates and may require Nissan Financing. Excludes tax, doc fees, license, title and destination charges. Occasionally pricing errors may occur and upon notification we will correct such errors. $3,500 off MSRP! 2019 Volkswagen Golf FWD S Tornado Red ABS brakes, Alloy wheels, Compass, Electronic Stability Control, Heated door mirrors, Illuminated entry, Low tire pressure warning, Remote keyless entry, Traction control. 6-Speed Manual 1.4L TSI WE MAKE IT EASY! Transparency = Hassle-free buying. "Everyone's Discount" Price includes destination. Our one & only fee is our $199 Admin fee that every local dealer has. Price may be in lieu of special APR, or require financing through VW Credit. Price excludes tax, title & licensing. Don't be fouled by our competitors old car sales tactic with bogus "trade-in incentives". Conditional Incentives:College Grad, VW Business Partner & Military & First Responders. 29/37 City/Highway MPG No Charge: Lifetime Power-train loyalty program with $0 Deductible good at all ASE certified shop, 3 year Interior/Exterior warranty, Free Service loaners and shuttles for life. Call now or print this page and come in see any one of our VW Master Certified sales associates. All new vehicles come with our Lifetime Power Train Loyalty Program excluding Nissan GT-R and Nissan Leaf. Picture may not represent actual vehicle. Price varies based on in stock availability, trim levels, dealer installed options and accessories. All prices include all available Nissan incentives and rebates and may require Nissan Financing. Excludes tax, doc fees, license, title and destination charges. Occasionally pricing errors may occur and upon notification we will correct such errors. 2019 Volkswagen Jetta 1.4T SE Pure White Factory MSRP: $23,715 $2,736 off MSRP! 30/40 City/Highway MPG At Bill Jacobs VW we place a “high priority on the quality of vehicles” we offer for sale. Bill Jacobs VW is a name you can trust! The Cars will bring you in...the EXPERIENCE will bring you back! Please call, or email to schedule a test drive today! $4,000 off MSRP! 2019 Volkswagen Jetta FWD 1.4T SE Tornado Red Home of the Lifetime powertrain loyalty program!. 8-Speed Automatic with Tiptronic 1.4L TSI WE MAKE IT EASY! Transparency = Hassle-free buying. "Everyone's Discount" Price includes destination. Our one & only fee is our $199 Admin fee that every local dealer has. Price may be in lieu of special APR, or require financing through VW Credit. Price excludes tax, title & licensing. Don't be fouled by our competitors old car sales tactic with bogus "trade-in incentives". Conditional Incentives:College Grad, VW Business Partner & Military & First Responders. 30/40 City/Highway MPG No Charge: Lifetime Power-train loyalty program with $0 Deductible good at all ASE certified shop, 3 year Interior/Exterior warranty, Free Service loaners and shuttles for life. Call now or print this page and come in see any one of our VW Master Certified sales associates. All new vehicles come with our Lifetime Power Train Loyalty Program excluding Nissan GT-R and Nissan Leaf. Picture may not represent actual vehicle. Price varies based on in stock availability, trim levels, dealer installed options and accessories. All prices include all available Nissan incentives and rebates and may require Nissan Financing. Excludes tax, doc fees, license, title and destination charges. Occasionally pricing errors may occur and upon notification we will correct such errors. $4,000 off MSRP! 2019 Volkswagen Jetta FWD 1.4T SE White Silver Metallic 8-Speed Automatic with Tiptronic 1.4L TSI WE MAKE IT EASY! Transparency = Hassle-free buying. "Everyone's Discount" Price includes destination. Our one & only fee is our $199 Admin fee that every local dealer has. Price may be in lieu of special APR, or require financing through VW Credit. Price excludes tax, title & licensing. Don't be fouled by our competitors old car sales tactic with bogus "trade-in incentives". Conditional Incentives:College Grad, VW Business Partner & Military & First Responders. 30/40 City/Highway MPG No Charge: Lifetime Power-train loyalty program with $0 Deductible good at all ASE certified shop, 3 year Interior/Exterior warranty, Free Service loaners and shuttles for life. Call now or print this page and come in see any one of our VW Master Certified sales associates. All new vehicles come with our Lifetime Power Train Loyalty Program excluding Nissan GT-R and Nissan Leaf. Picture may not represent actual vehicle. Price varies based on in stock availability, trim levels, dealer installed options and accessories. All prices include all available Nissan incentives and rebates and may require Nissan Financing. Excludes tax, doc fees, license, title and destination charges. Occasionally pricing errors may occur and upon notification we will correct such errors. $4,000 off MSRP! 2019 Volkswagen Jetta FWD 1.4T SE Silk 8-Speed Automatic with Tiptronic 1.4L TSI WE MAKE IT EASY! Transparency = Hassle-free buying. "Everyone's Discount" Price includes destination. Our one & only fee is our $199 Admin fee that every local dealer has. Price may be in lieu of special APR, or require financing through VW Credit. Price excludes tax, title & licensing. Don't be fouled by our competitors old car sales tactic with bogus "trade-in incentives". Conditional Incentives:College Grad, VW Business Partner & Military & First Responders. 30/40 City/Highway MPG No Charge: Lifetime Power-train loyalty program with $0 Deductible good at all ASE certified shop, 3 year Interior/Exterior warranty, Free Service loaners and shuttles for life. Call now or print this page and come in see any one of our VW Master Certified sales associates. All new vehicles come with our Lifetime Power Train Loyalty Program excluding Nissan GT-R and Nissan Leaf. Picture may not represent actual vehicle. Price varies based on in stock availability, trim levels, dealer installed options and accessories. All prices include all available Nissan incentives and rebates and may require Nissan Financing. Excludes tax, doc fees, license, title and destination charges. Occasionally pricing errors may occur and upon notification we will correct such errors. $4,000 off MSRP! 2019 Volkswagen Jetta FWD 1.4T SE Pure White 8-Speed Automatic with Tiptronic 1.4L TSI WE MAKE IT EASY! Transparency = Hassle-free buying. "Everyone's Discount" Price includes destination. Our one & only fee is our $199 Admin fee that every local dealer has. Price may be in lieu of special APR, or require financing through VW Credit. Price excludes tax, title & licensing. Don't be fouled by our competitors old car sales tactic with bogus "trade-in incentives". Conditional Incentives:College Grad, VW Business Partner & Military & First Responders. 30/40 City/Highway MPG No Charge: Lifetime Power-train loyalty program with $0 Deductible good at all ASE certified shop, 3 year Interior/Exterior warranty, Free Service loaners and shuttles for life. Call now or print this page and come in see any one of our VW Master Certified sales associates. All new vehicles come with our Lifetime Power Train Loyalty Program excluding Nissan GT-R and Nissan Leaf. Picture may not represent actual vehicle. Price varies based on in stock availability, trim levels, dealer installed options and accessories. All prices include all available Nissan incentives and rebates and may require Nissan Financing. Excludes tax, doc fees, license, title and destination charges. Occasionally pricing errors may occur and upon notification we will correct such errors. $4,000 off MSRP! 2019 Volkswagen Jetta FWD 1.4T SE Tornado Red 8-Speed Automatic with Tiptronic 1.4L TSI WE MAKE IT EASY! Transparency = Hassle-free buying. "Everyone's Discount" Price includes destination. Our one & only fee is our $199 Admin fee that every local dealer has. Price may be in lieu of special APR, or require financing through VW Credit. Price excludes tax, title & licensing. Don't be fouled by our competitors old car sales tactic with bogus "trade-in incentives". Conditional Incentives:College Grad, VW Business Partner & Military & First Responders. 30/40 City/Highway MPG No Charge: Lifetime Power-train loyalty program with $0 Deductible good at all ASE certified shop, 3 year Interior/Exterior warranty, Free Service loaners and shuttles for life. Call now or print this page and come in see any one of our VW Master Certified sales associates. All new vehicles come with our Lifetime Power Train Loyalty Program excluding Nissan GT-R and Nissan Leaf. Picture may not represent actual vehicle. Price varies based on in stock availability, trim levels, dealer installed options and accessories. All prices include all available Nissan incentives and rebates and may require Nissan Financing. Excludes tax, doc fees, license, title and destination charges. Occasionally pricing errors may occur and upon notification we will correct such errors. $4,000 off MSRP! 2019 Volkswagen Jetta FWD 1.4T SE Black Uni 8-Speed Automatic with Tiptronic 1.4L TSI WE MAKE IT EASY! Transparency = Hassle-free buying. "Everyone's Discount" Price includes destination. Our one & only fee is our $199 Admin fee that every local dealer has. Price may be in lieu of special APR, or require financing through VW Credit. Price excludes tax, title & licensing. Don't be fouled by our competitors old car sales tactic with bogus "trade-in incentives". Conditional Incentives:College Grad, VW Business Partner & Military & First Responders. 30/40 City/Highway MPG No Charge: Lifetime Power-train loyalty program with $0 Deductible good at all ASE certified shop, 3 year Interior/Exterior warranty, Free Service loaners and shuttles for life. Call now or print this page and come in see any one of our VW Master Certified sales associates. All new vehicles come with our Lifetime Power Train Loyalty Program excluding Nissan GT-R and Nissan Leaf. Picture may not represent actual vehicle. Price varies based on in stock availability, trim levels, dealer installed options and accessories. All prices include all available Nissan incentives and rebates and may require Nissan Financing. Excludes tax, doc fees, license, title and destination charges. Occasionally pricing errors may occur and upon notification we will correct such errors. $3,500 off MSRP! 2019 Volkswagen Golf FWD S Night Blue ABS brakes, Alloy wheels, Compass, Electronic Stability Control, Heated door mirrors, Illuminated entry, Low tire pressure warning, Remote keyless entry, Traction control. 8-Speed Automatic with Tiptronic 1.4L TSI WE MAKE IT EASY! Transparency = Hassle-free buying. "Everyone's Discount" Price includes destination. Our one & only fee is our $199 Admin fee that every local dealer has. Price may be in lieu of special APR, or require financing through VW Credit. Price excludes tax, title & licensing. Don't be fouled by our competitors old car sales tactic with bogus "trade-in incentives". Conditional Incentives:College Grad, VW Business Partner & Military & First Responders. 29/37 City/Highway MPG No Charge: Lifetime Power-train loyalty program with $0 Deductible good at all ASE certified shop, 3 year Interior/Exterior warranty, Free Service loaners and shuttles for life. Call now or print this page and come in see any one of our VW Master Certified sales associates. All new vehicles come with our Lifetime Power Train Loyalty Program excluding Nissan GT-R and Nissan Leaf. Picture may not represent actual vehicle. Price varies based on in stock availability, trim levels, dealer installed options and accessories. All prices include all available Nissan incentives and rebates and may require Nissan Financing. Excludes tax, doc fees, license, title and destination charges. Occasionally pricing errors may occur and upon notification we will correct such errors. $3,500 off MSRP! 2019 Volkswagen Golf FWD S Deep Black ABS brakes, Alloy wheels, Compass, Electronic Stability Control, Heated door mirrors, Illuminated entry, Low tire pressure warning, Remote keyless entry, Traction control. 8-Speed Automatic with Tiptronic 1.4L TSI WE MAKE IT EASY! Transparency = Hassle-free buying. "Everyone's Discount" Price includes destination. Our one & only fee is our $199 Admin fee that every local dealer has. Price may be in lieu of special APR, or require financing through VW Credit. Price excludes tax, title & licensing. Don't be fouled by our competitors old car sales tactic with bogus "trade-in incentives". Conditional Incentives:College Grad, VW Business Partner & Military & First Responders. 29/37 City/Highway MPG No Charge: Lifetime Power-train loyalty program with $0 Deductible good at all ASE certified shop, 3 year Interior/Exterior warranty, Free Service loaners and shuttles for life. Call now or print this page and come in see any one of our VW Master Certified sales associates. All new vehicles come with our Lifetime Power Train Loyalty Program excluding Nissan GT-R and Nissan Leaf. Picture may not represent actual vehicle. Price varies based on in stock availability, trim levels, dealer installed options and accessories. All prices include all available Nissan incentives and rebates and may require Nissan Financing. Excludes tax, doc fees, license, title and destination charges. Occasionally pricing errors may occur and upon notification we will correct such errors. $4,000 off MSRP! 2019 Volkswagen Jetta FWD 1.4T SE Orange Metallic 8-Speed Automatic with Tiptronic 1.4L TSI WE MAKE IT EASY! Transparency = Hassle-free buying. "Everyone's Discount" Price includes destination. Our one & only fee is our $199 Admin fee that every local dealer has. Price may be in lieu of special APR, or require financing through VW Credit. Price excludes tax, title & licensing. Don't be fouled by our competitors old car sales tactic with bogus "trade-in incentives". Conditional Incentives:College Grad, VW Business Partner & Military & First Responders. 30/40 City/Highway MPG No Charge: Lifetime Power-train loyalty program with $0 Deductible good at all ASE certified shop, 3 year Interior/Exterior warranty, Free Service loaners and shuttles for life. Call now or print this page and come in see any one of our VW Master Certified sales associates. All new vehicles come with our Lifetime Power Train Loyalty Program excluding Nissan GT-R and Nissan Leaf. Picture may not represent actual vehicle. Price varies based on in stock availability, trim levels, dealer installed options and accessories. All prices include all available Nissan incentives and rebates and may require Nissan Financing. Excludes tax, doc fees, license, title and destination charges. Occasionally pricing errors may occur and upon notification we will correct such errors. Our sales team is standing by to get you behind the wheel of the Volkswagen model that best suits your budget and driving needs around Fenton, and it’s their goal to make the car-buying process that much less stressful. Contact us today to get the process started.